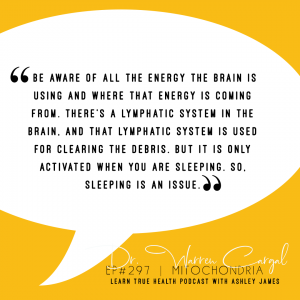 Warren discusses Mitochondria with Ashley James on her Learn True Health Podcast. “It questions our beliefs in healthcare and how we care for yourself. We are responsible for our health. Which means we have a responsibility to question things actively,” said Dr. Warren Cargal. Mitochondria are organelles. Organelles mean small bodies which reside in each of your cells. They produce the energy for the cells. That energy is called ATP or adenosine triphosphate. The ATP is used by all the mechanisms in the cells to drive the functioning. Mitochondria have their own DNA. Dr. Warren Cargal says repeated rounds of antibiotics have profound effects on what’s happening in our gut. It can change or destroy the make-up of the gut which has significant effects like anxiety, depression, sleepiness, and immune response. “Most of the vitality for the offspring is inherited from the mother. All of the mitochondria are transmitted from the woman to the offspring. It’s only through the female that this mitochondria energy is transmitted. Nothing is inherited from the male,” said Dr. Warren Cargal. 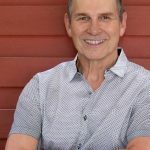 “Most people’s concept of energy and production is about eating food and food going down into the digestive tract, to be broken down in nutrients. Thinking like this misses the fundamental importance of the mitochondria to provide the energy the body needs,” said Dr. Warren Cargal. 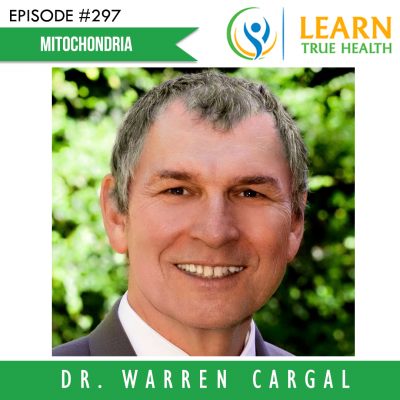 Dr. Warren Cargal believes that cancer is complicated. There are many factors involved because cancer requires energy. And that energy is fueled by ATP. If there is excessive consumption of carbohydrates and sugars. Cancer can use another pathway for obtaining energy. Dr. Warren Cargal also recommends considering probiotics if you had taken a lot of antibiotics. Because according to him, probiotics will nourish the serotonin.